Fall is around the corner and there is nothing better to fix your fear of your summer tan fading than shopping for your Fall favorites. Bomber jackets are huge right now and in abundance so here are a few of our favorite ones !!! 1 Zara, Zara, and more Zare. There are so many too choose from that deciding on one will be almost impossible. 2. Scotch and soda is such a great brand for everyone in the family - we are obsessed!! 3. 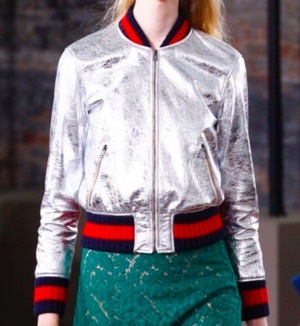 The metallic bomber splurge that we would love to own.